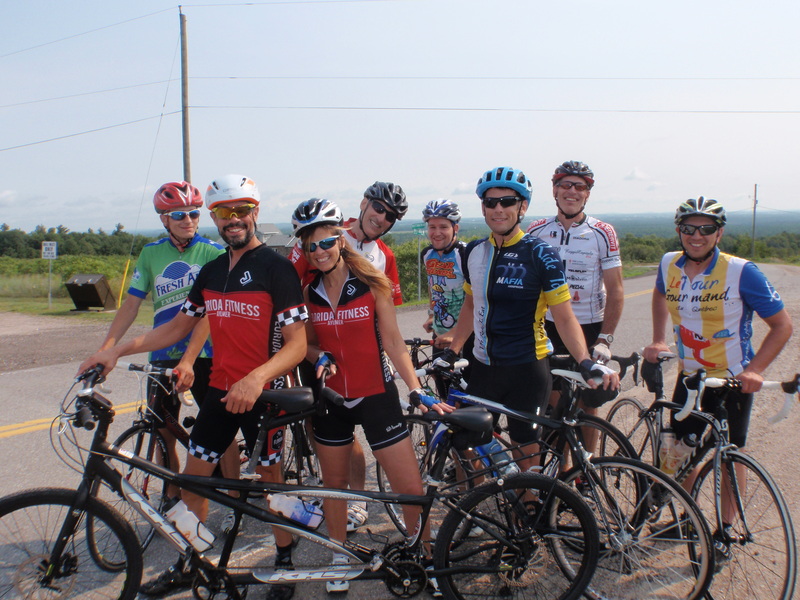 July 05/15: 74 Kms; 2.27 Hrs; 412 Metres; Nine Riders. Well, hello. I’m happy to report that Lochwinnow is back on the tour circuit. Now, if only, the township would re-pave Goshen. It was a double double weekend. To-day’s ride shorter than advertised but no one really complained. We had two young lads (SA & SM) join us and they proved their mettle. Youth has its strength. Age has its envy. Yet, KO and RT and ML (without the Tandem) would have tested their enthusiasm on Pinnacle. As it was, SB and EC kept them company. I held back. Well, maybe not. I did finish ahead of the Tandem duo, though. Kudos to ML and R for their high spirits and good sportsmanship for tackling Pinnacle head-on. Perspective is a great thing; as is adaptation, and balance – life’s quest when the road is rough and the way cluttered. Yes, we had another great ride (aren’t they all), even if the group broke into parts. There was lots of easy pedaling and sections of full-on gas, especially on River Road. We were like young children, newly confident, escaped from their mothers — running wild and laughing towards an unknown adventure. It’s just hard to resist a downward slope on a bicycle when chased by a tailwind. You just should have been there. And, you can be next weekend when we’ll do it all again.